But before you get all excited to learn about them, allow me to walk you through the qualities that you need to look for the best Bluetooth stereo speaker for your car. One of the main issues with electronics and gadgets these days is the lithium battery that powers them. And in this case, Bluetooth speakers are of no exception in this kind of ordeal. The safety issue occurs when the battery in a car speaker is not safe to use while charging it. We have heard of smartphones and even e-cigarettes exploding because of the overheated battery that comes with them. Believe it or not, this is also possible to happen to your Bluetooth stereo car speaker if you don't know buy the best one. A faulty lithium battery could blow up in your face if you are not picky when buying it. Just because it is good doesn't mean you have to pay for way too much more than you can afford. You can always find a stereo speaker of good quality for a reasonable price. There are other Bluetooth stereo or speaker that could take a while for you to configure and pair. Don't waste time buying those when there are others that you could easily connect with your phone and other mobile devices. This car stereo comes with a 7-inch double DIN touchscreen that you could install in your car's dashboard. It has Bluetooth but you could also use the AUX to connect your smartphone or any other mobile device to play music with. Compatibility: You can use it whether you are more of an old-school music enthusiast because this one has both an AM and FM radio station. You could also plug in some USB device along with an AUX cable if your device requires it. Comes With A Mic: I found out that you could do some karaoke session with this speaker because it comes with a microphone. The cord is pretty long as well that it could reach to a passenger at the far back of your car or van. Installation: Installing this to your dashboard could take a while if you are not a professional in doing it. There is also a chance of damaging it when you do it on your own. Price: Although it has really good features, I'm not sure if you will be willing for its really costly price. This is a bluetooth speaker that is multipurpose. You could instantly connect your phone without having to pair it in a difficult way. As long as you have a USB connector, then you’re set to enjoy this stereo speaker. Wireless Remote Control: This stereo also comes with a wireless remote control, which could be used by any of your passengers to control even when they are at the far seat of the car. Hands-free Calling: Since it has Bluetooth, one of its advantages is that you can make a call using it without having to touch your phone. This enables safety while you are driving. Easy To Use: The pairing of your device doesn't take that long to connect to it. That is why it makes it even easier and faster to use. Streaming: As soon as you pair your smartphone or any mobile device to it, you can already enjoy music streaming if you are subscribed to Pandora or Spotify. 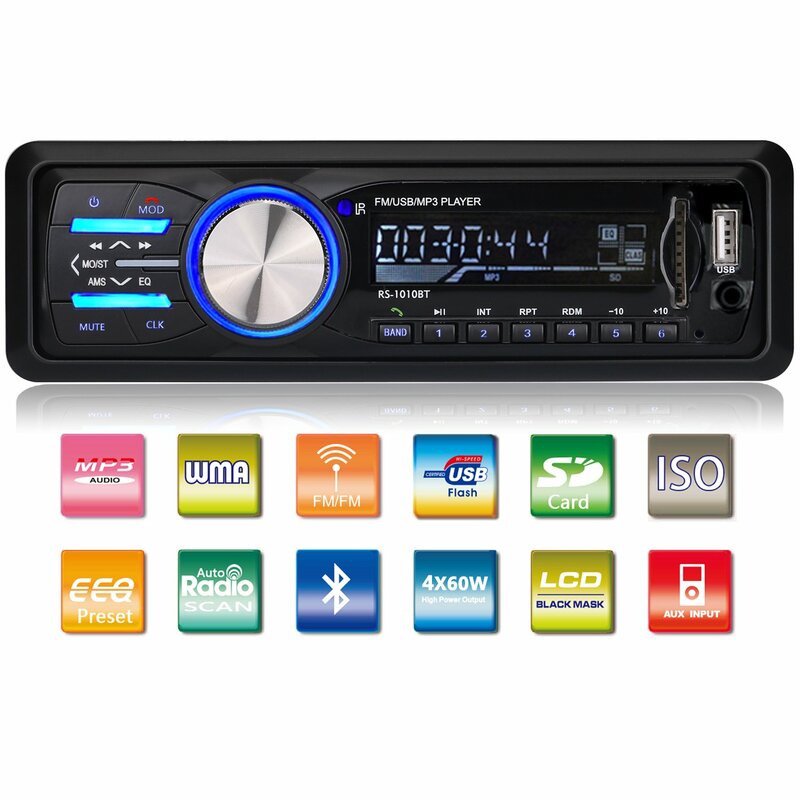 Price: It is a little bit expensive than the usual Bluetooth car stereo but it is still pretty affordable. Radio Problem: For some reason, you'll find it hard to pick up AM and FM stations using this. 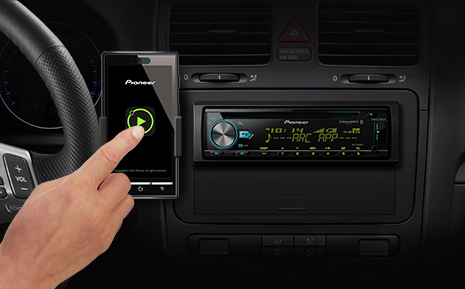 An In-dash Bluetooth car stereo that also has a built-in MP3 and an AM /FM radio station. It is a single din, which you could plug a microphone on should you need it on the road. Safety: You can now answer calls from your smartphone without having to hold it because the Bluetooth feature enables you to use your phone hands-free. Compatibility: You can use both your Android and iOS smartphone with this one and even your old school music gadgets like your iPod. Dare I say it, you can even plug an old disc man or walkman using this because of the AUX feature. Satisfaction Guaranteed: This is probably the best part of this product because you will be able to get your money back if you are not satisfied after buying it. Either that, or you could also ask for a replacement should the product arrived damaged or not what you have expected. Customer Service: Unlike other company, this one actually has a customer service hotline that you can call should you need a replacement or a refund. You can call them at literally any time of the day since they are open 24/7. 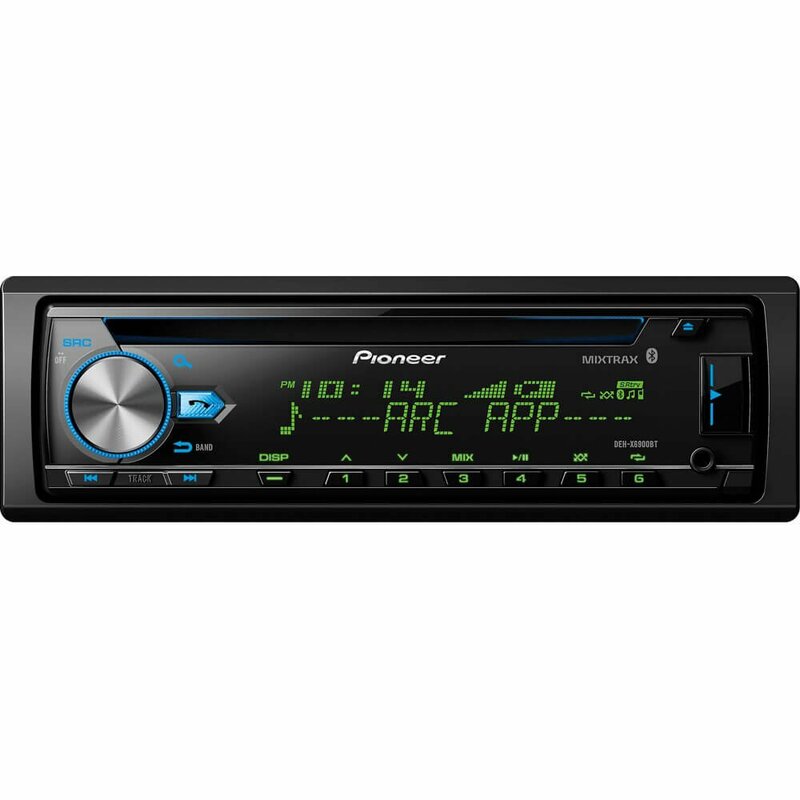 Installation: Just like any other car stereo, a common issue would be the difficulty of installing it in your car. It is best to hire a professional to do it. This is not your ordinary Bluetooth car stereo because it is also multifunctional.It has this FM transmitter that allows you to listen to the radio as well. It has different featured outputs to fit any gadget you have. Compatibility: You can use it not only with your iPhone or Android device, but you could also plug in any gadget that requires an AUX input.It is also capable of reading your micro SD cards and even TF cards. That said, if you have music files on those kinds of platforms, you could also listen to them! Quality of Sound: If you are in a party mode with your friends, then this product will serve you best because of the bass sound that you would really feel coming out of the speakers. Installation: The installation is still hard to configure that you might need a professional to do it for you. 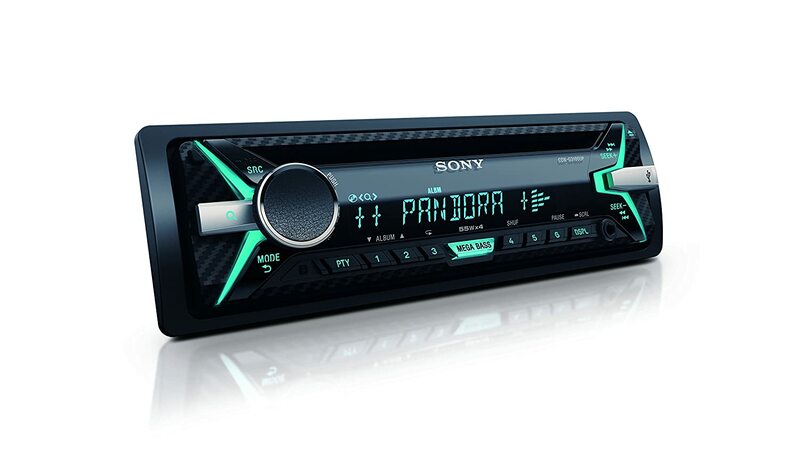 This is a car stereo powered by Bluetooth, which all and it is usually installed as an in-dash radio on your car. 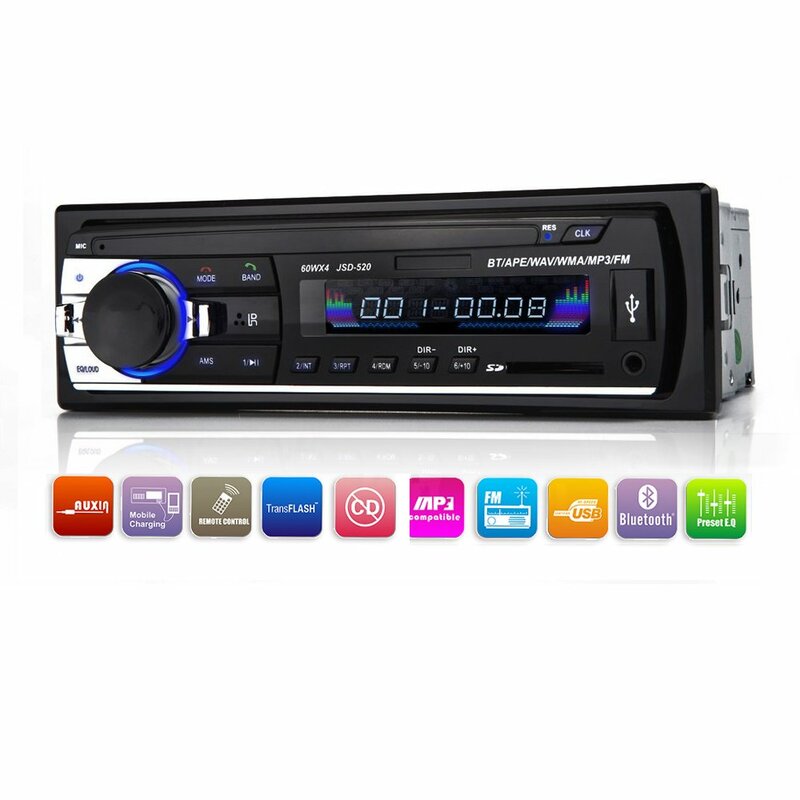 This stereo is not limited to Bluetooth because this also has an MP3 player.You can even connect any device that is compatible with a USB, SD card and also AUX. This product comes with a remote control with a max power output of 60 watts by 4. Digital: This is not an analog material so you can count on it being easy to read and easy to configure. The LCD display is in black, which makes it easier to read things whether you are playing the radio or playing any music from your phone. Compatibility: You can use it whether you are an Android user or an iOS. 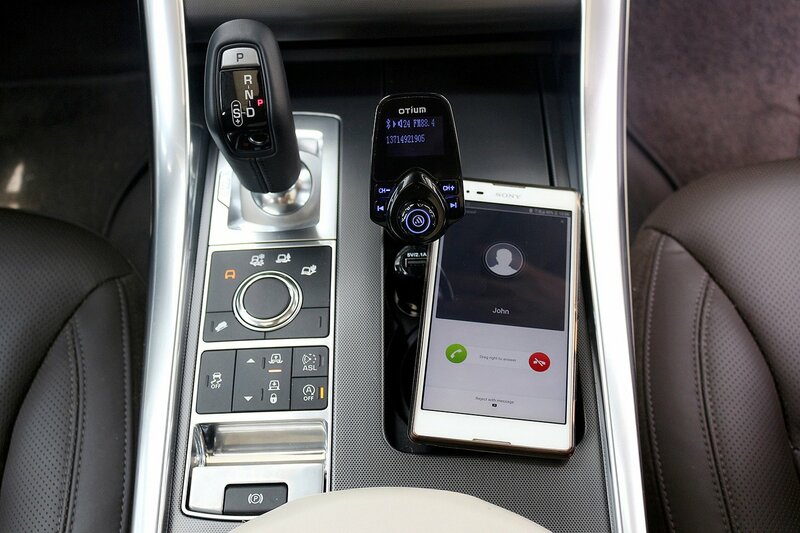 Safety When Driving: I like the fact that you can use it to talk to someone on your phone while you are driving because its Bluetooth enables you to do the hands-free calling. Mic Feature: You can plug in a microphone on this one in case your friends or family are in the mood to do some karaoke singing. Price: It is affordable for what it can deliver. Installation: You cannot install it yourself unless you are a professional in doing it. Installing it is not that easy and doing it on your own could damage the product and even your car. As a car owner and driver, you would never see me hit the road without any music on. This is why owning a Bluetooth car stereo is a must for me and I'm sure it would be for you too if you have the same reason as mine. 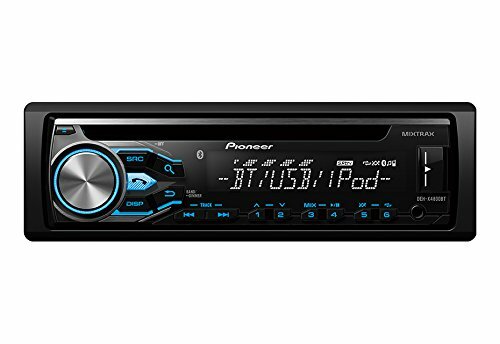 Out of the 5 products I have featured today,﻿﻿﻿P﻿﻿i﻿﻿oneer DEH- X6900BT is the best bluetooth car stereo . My first reason would be its affordability unlike others that could really ruin your budget. Not only that because it is a lot easier to install! I don't really listen to the AM station a lot so it doesn't bother me that it lacks that feature. I hope you learned from my article today and I would encourage you to share this with your friends and loved ones over your social media. Feel free to send your feedback on the comment below as well. Have a great day!